Steeped in Mayan myth and heritage, the beautifully diverse country of Guatemala is an amazing place to come and serve. Steeped in Mayan myth and heritage, the beautifully diverse country of Guatemala is an amazing place to come and serve. While ministering in Guatemala, find what makes your heart beat as you work in various ministries including construction, evangelism, medical care, working with youth, and much more. Alongside seasoned missionaries, get involved in what the Lord is doing with His Church in this country where the old and new world converge. Randy and Brenda Purcell moved to Guatemala from Indianapolis, Indiana in 1998 to support and advance the ongoing work began in 1983 by previous missionaries. 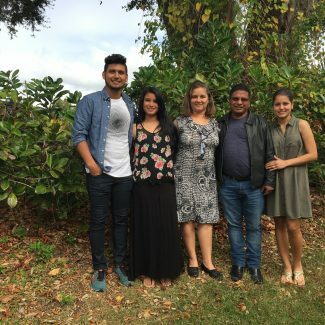 The Purcells have committed themselves to the long-term discipling of Guatemalan leaders and their families, opening their home for Bible studies, meals, conferences, prayer, even sing-alongs. God has gifted Randy and Brenda with the heart and means to be truly hospitable and, as ministry and needs evolve, to be flexible and creative in bringing Christ to the people of Guatemala. Edgar and Anita Cosigua were both involved in missions before meeting each other. When they got married, they started pastoring a small church in a remote village, then moved on to become supervisors in New Life Mission. 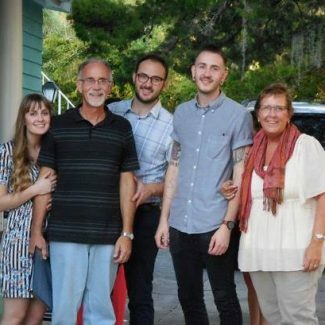 After a few years, they worked independently in youth and children’s ministry until 2005 when they joined Missionary Ventures. They are currently working in various ways, reaching out to the people around them through youth activities, children’s activities, conferences for church leaders, and construction projects for churches. Edgar also teaches at a local Christian school and is in a leadership position at the local church where they are members. Anita is a nurse midwife, so they also have a small birthing center in their backyard. Their focus is holistic. They aim to serve the people of Guatemala in spirit, soul and body. 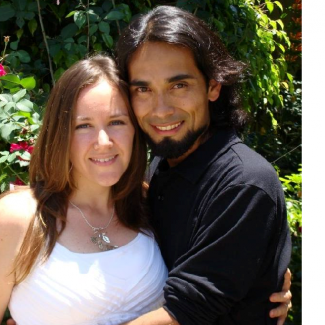 Obed and Cara met in Guatemala while she was there in extended missionary service. Obed, born and raised in Guatemala, had felt God’s stirrings in his heart to serve his people, raising them up to take the gospel of Jesus Christ around the world. Obed and Cara Zuleta joined the Missionary Ventures family in 2013.They share a deep love for Jesus Christ and for the people of Guatemala and together with their four children, are making the stirrings of Obed’s heart a reality through personal involvement and discipling of Guatemalan leadership. Called to missions during his college studies, Jason Musgrave left for Guatemala soon after graduating in 2005. There, he met his wife Sonia where they have spent 2 of the last 8 years working with Missionary Ventures, supporting the work of a medical clinic. Sonia uses her law degree in the legal work of the clinic and also hosts a weekly women’s ministry. Jason works in coordinating team visits with the sending offices while studying to be able to operate an x-ray machine to contribute to the clinic´s ministry through that service. 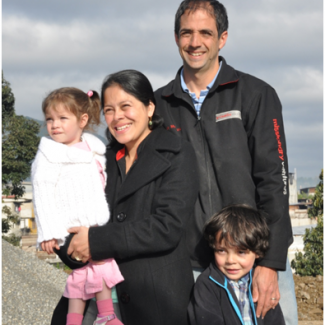 They have 2 children and are continuing to do the Lord’s work in Guatemala.